In June of 2016, Glock won the FBI Contract and rumors began to spread on various specifications of the Glock M models, which we know are very closely related to the new Gen5's. 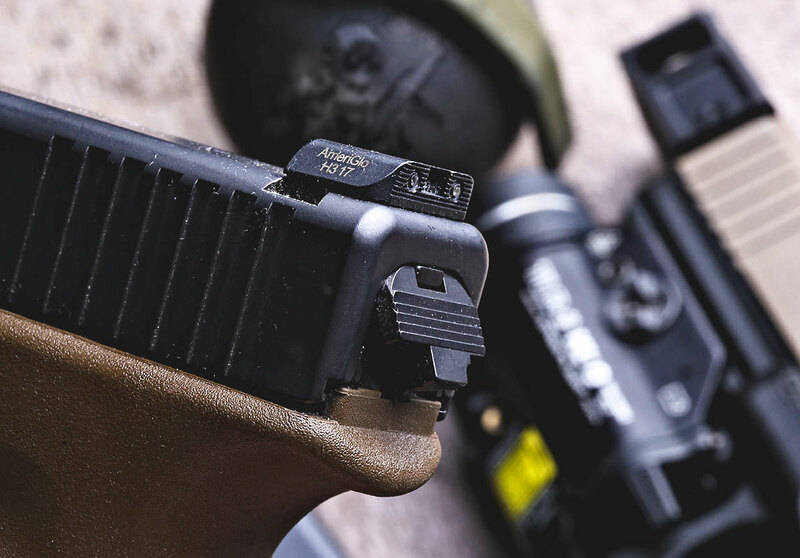 Like the M models, the Gen5's come with Ameriglo three-dot night sights which Glock seems to own the rights to in order to openly compete with other pistol manufacturers. This is a huge step in the right direction for Glock and it stemmed from their involvement with FBI Contract solicitation requirements (link to PDF, requirements can be found at C.4-14). The TL;DR of this is that the FBI wanted black steel, non reflective, sights which the rears can be racked off of one handed, they wanted a POA/POI at point of ledge (that is cutting the target in half with the front sight ledge at 25 yards), they wanted three-dot night sight setup, they needed to be "high visibility sights" which the FBI referred to the Trijicon HD's (GL101O) by name, the same type of sights I reviewed previously, and they wanted a "U" notch rear sight. Nothing within the solicitation required a specific front sight width or height, which means this was an excellent opportunity to create a really custom sighting system for the general public and LEOs throughout the US - buying a factory new duty-grade gun with high visibility front sights and the ability to have precision shoot capability, and Ameriglo jumped on this very quickly and hit a home run. I was fortunate enough to get a set of FBI Contract sight and BOLD sights from Ameriglo to beat up before the official release of the Gen5's last week, and I did put them through their paces. 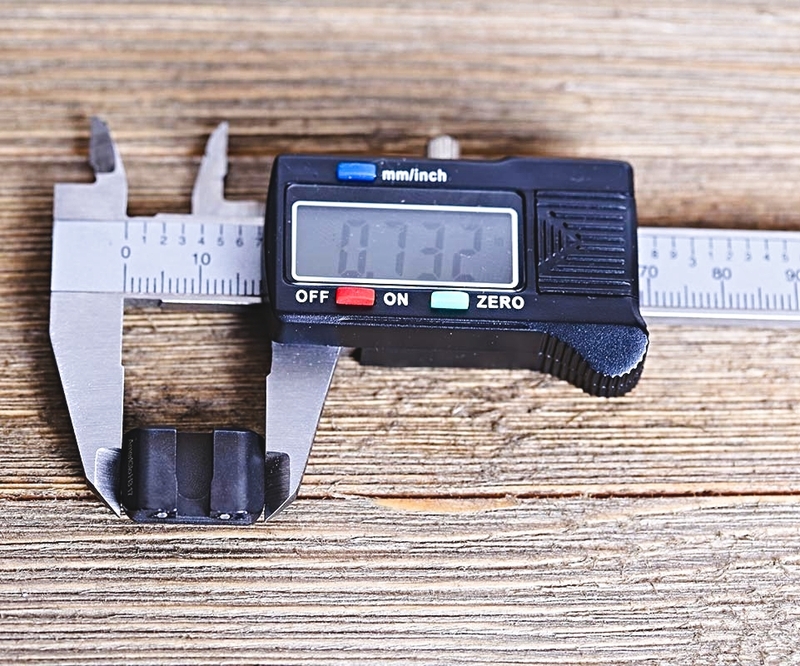 In this review of the FBI Contract sights and the BOLD sights I will cover everything from measurements to my experience from implementation of use. I have had these sighting systems since 10/16, so just shy of a full year, I have put tens of thousands of rounds downrange with these sights on several of my Glocks as well as on my EDC Glock 19. More photos of the @ameriglosights #fbi sights for #glock17m submitted for the solicitation. More photos and comparison shots on my site www.vdmsr.com - link in profile. 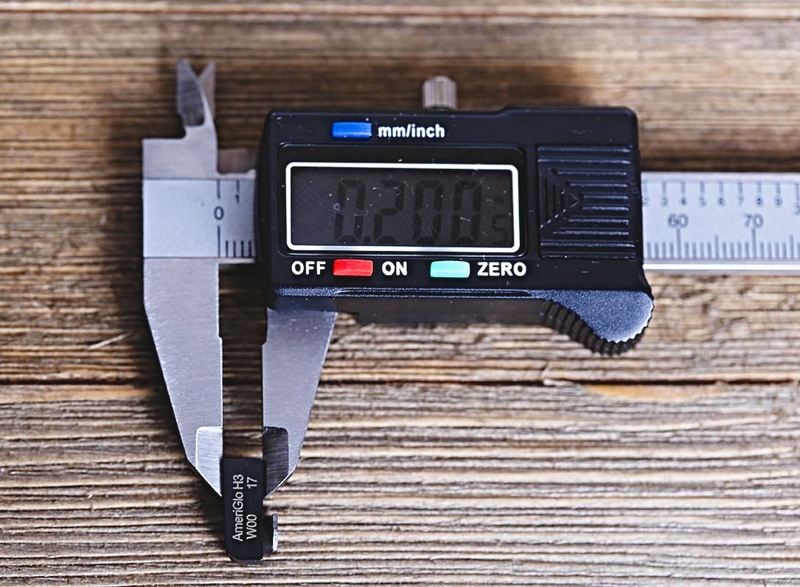 Take notice the deep U Notch and how small the width is on the front sight. I have a sneaking suspicion these will be a new standard. I am always looking for different sights and trying to push my personal preferences past my preferences. I want to be uncomfortable with a pair of sights at first because I want to see what my limitations are in general, software not hardware. My default EDC sight system is a well worn set of Ameriglo Defoor (GT-514) sights , I did a review of the regular, non-tritium dot Defoor sights, along with other Ameriglo sights, and I just always end up going to one of the Ameriglo Defoor sights. This is probably because I do a lot of 25 yard line plus shooting an the thin front blade of the standard Defoor is .115, and the tritium dot front is .125 which allow me to get good precision out of the sights at distance, while allowing me to get fast results up close with a little bit of nail paint added to the top. 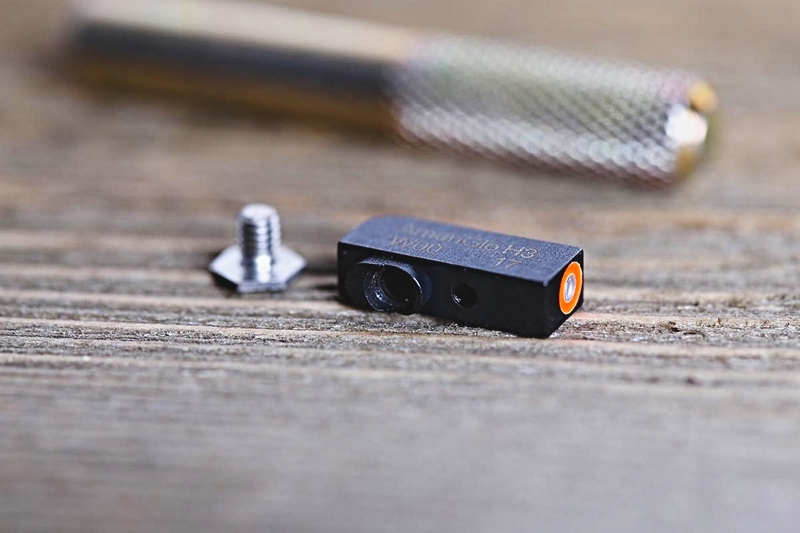 The BOLD and FBI sights have an option for .125 front sight width, this is awesome because it allows the shooter to have the ability to have a very thin and accurate front sight which is also highly visible due to the red ring around the tritium tube. The above photo is of a .125 front sight post which will be available for purchase, it is .200 tall and mimics its .140 counterpart in POA/POI. 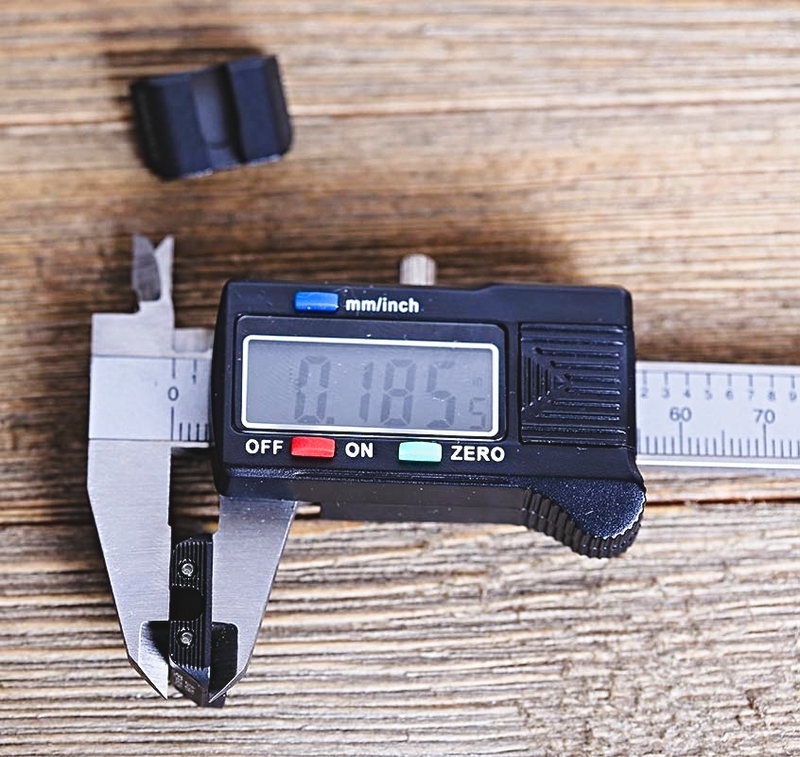 Just a disclaimer, the caliper I am using is a cheapy and may not be to 100% specifications. I would highly recommend consulting Ameriglo (website or customer service) for their specifications. 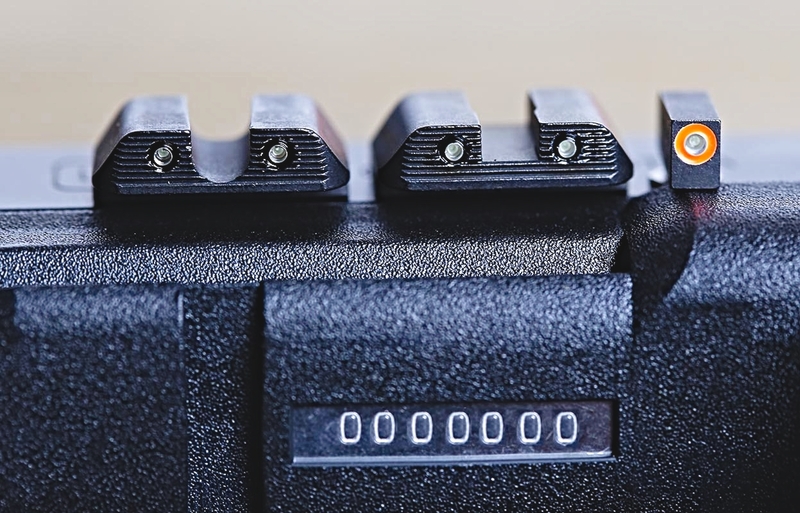 The difference between the rears of the BOLD and FBI, Square and "U" notch sights is enough to provide the shooter with options of preference. 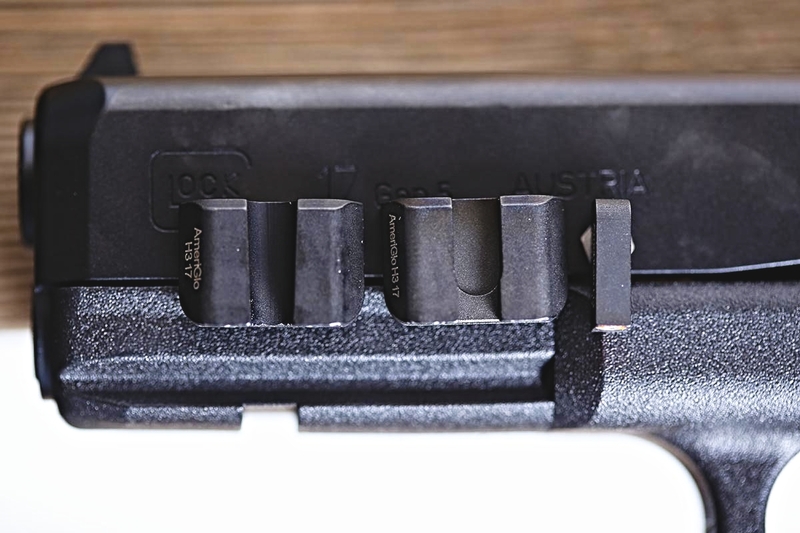 Some people like square notches better, some like "U" notches better, having both available and interchangeable along with the front sight post(s) is a feature which does not generally exist in this level of iron sight. They are about .185 tall. And total width of the sight is about .733. Front sight available in .125 and .140 at .200 tall. Rear sight available in .163 (square) and .160 (U) respectively and .186/.185 tall. @ameriglosights #FBI #nightsights getting a work out on the range. Right out of the box I installed the .125 and .160 "U" notch sights and hit the range (see photo above). Dialing the sights in was easy and I had to move the rear sight just a hair move than I anticipated due to the aftermarket Barsto barrel. The sights ran as well as I expected, I ran a few 100 and 200 drills, ended up in the high 90 range for 100's and 160-170 range for 200's. This is on par with my accuracy standards when using the Ameriglo Defoor sights referenced above. Conversely, I also like the square notch and .140 front sight combo. 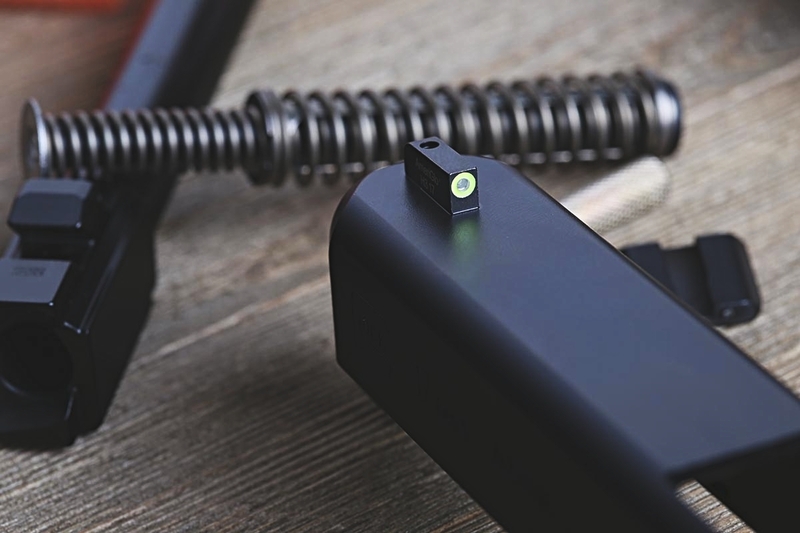 The front sight is wide enough to take up just the right amount of room inside the rear sight notch window and allows the shooter to easily front "center" just like with the .125/"U" notch combo. I then went to Texas for the HiTS First Responder Pistol 3/Shotgun combo class during which I ran my EDC Glock 19 with the FBI Contract sights (.125 front). The sights ran well and the resulting accuracy was expected. I enjoyed the thin front sight post and the combination of "U" notch allowed me to predictably attain the accuracy I was looking for. I carried with this setup for a few months and around 3/17 I switched rear sights over to the square notch. What y'all know about these new #BOLD sight set from @ameriglosights with their orange front - same front as the #fbisights I posted before about! And of course the #SCD #thegadget on my EDC gun seeing lots of work. I originally kept the thin .125 front sight but eventually swapped over to the .140 front. The .125 front with the square notch was difficult for me to use because I constantly fished around for it inside the square notch. Running various drills during various range days and during daily dry-fire training I ended up moving away from the .125/square notch setup and switching to the .140. I used this setup for about four months, several thousand rounds with this setup. 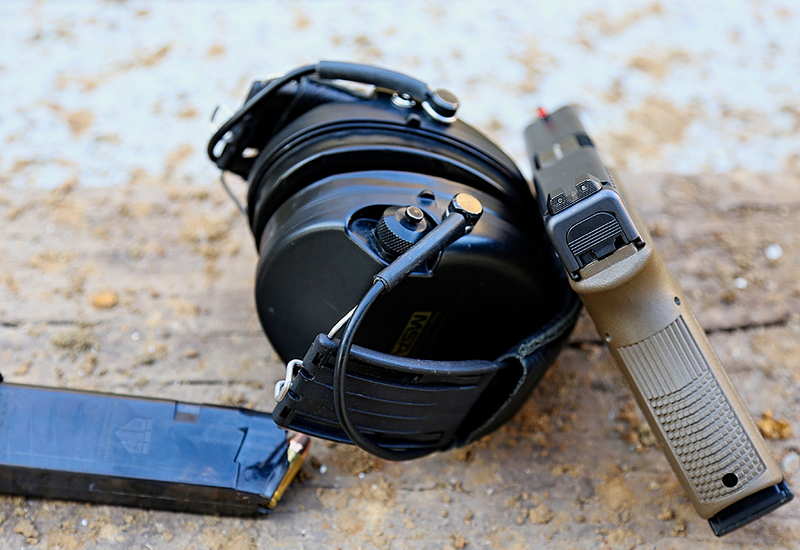 This is the setup which comes with the Gen5 Glock 19 / 17 directly from Glock. For a very short time I put the .140 and the "U" notch setup on one of my Glock 19's and ran it at the range. It ran just fine, in fact I would probably like to put more time on this particular setup to see how well it can work. 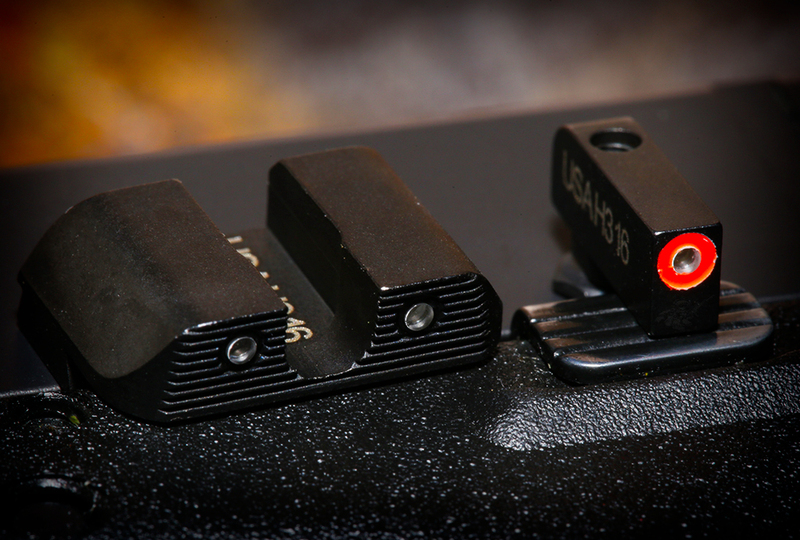 I have the same issue with these that I had with the Trijicon HD sights, I do not like orange front sights. In bright sunlight I lose them pretty quickly and while I can pick them up during a fast draw up close I would much rather have a green front sight. The circle is pretty easy to use for up close shooting and there is no appreciable difference between the .125 and .140 out to 15 yards. 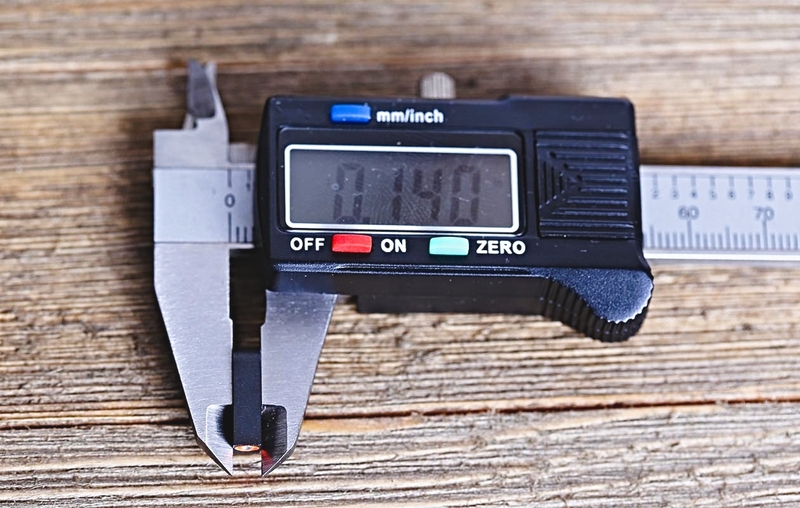 The BOLD setup of .140/square notch compared to the .140/"U" notch setup work exactly the same for me and I suspect they will work the same for everyone 15 yards and in. Once you get to around the 25 yard mark, that .125 front width is going to help a lot. This has a everything to do with eyesight, overall ability to see change focus from target to front sight post, to rear sight post, then somewhere in the middle of the front/rear sights to figure out exactly where the shot is going to land. For the average person the .140 will likely work really well, which is probably the consensus reached by Ameriglo and Glock alike. The .125 is a great front sight option and I would recommend it to anyone who shoots out to, and past, 25 yards, but it is probably going to be under utilized by the average shooter. I installed all front sights with a small dab of purple loctite and used the small front sight tool which came with the sights. If you order your BOLD or FBI contract sights I would recommend asking if it will come with a front sight tool, it probably will, worst case pick one up , they are not expensive and worth their weight in gold, in case your front sight gets loose. I had no issues with front sight or rear sight movement, breakage or otherwise any issue with them losing zero. 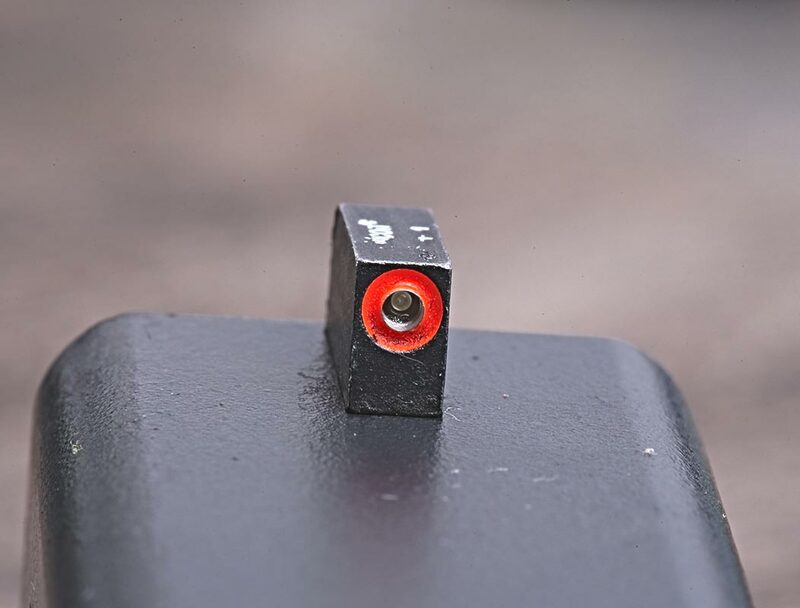 I would highly recommend having a rear sight tool to use when installing the rear sights and when you zero them at the range for your particular pistol. 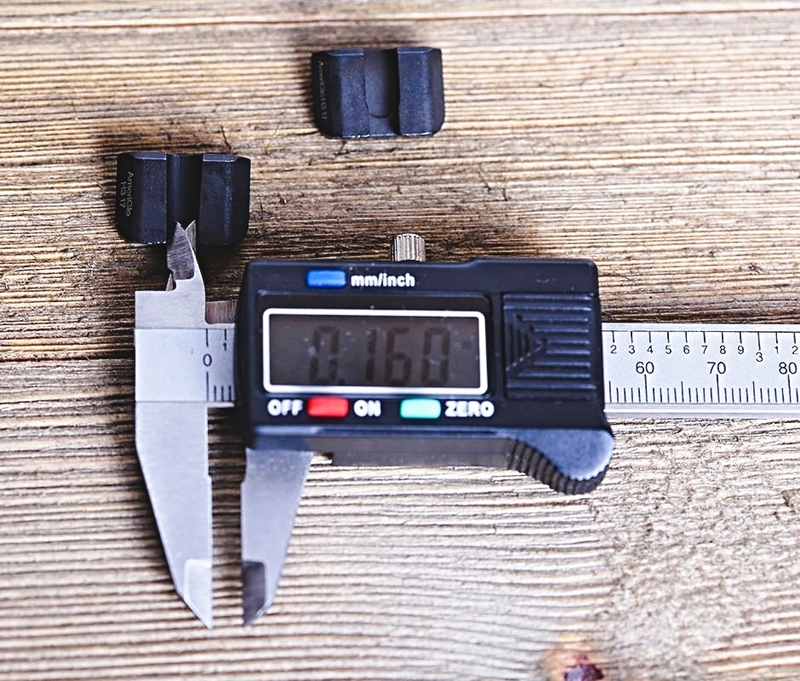 (Ameriglo makes a good quality rear sight tool , as well) Every pistol is going to shoot slightly different and you may need to make fine adjustment just because of the ammo, barrel, sight and environmental conditions which effect you. As I stated above, my preference is a green front high visibility front sight and thankfully Ameriglo not only killed the competition with the BOLD/FBI sights, they thought ahead and made sure there will be .125 and .140 front sights available. They sent me a .140 front sight in green to run with both BOLD/FBI rears and I will eventually swap it for a .125 to see how it works, these two setups will be how I will run the Gen5 Glock 19 and 17. The question I have gotten constantly and I want to address is how do these compare to the Trijicon HD XR 's For starters Trijicon does not listen to their customers and they charge an arm and a leg for their sights. The HD's I had for years worked sub-optimally for distance shooting and they were not accurate enough (for me) at 25 yards due to how wide the front sight post wand their inherent POA/POI shift at 25 yards. Trijicon tried to "fix" whatever issues they seemed to have with their XR's (which they submitted to the FBI for consideration during the solicitation process) and they were disqualified because they were still not POA/POI at 25 yards point of front sight ledge. The Trijicons will cut a hole in any item of clothing you have and/or make you bleed, while still being a good $50 over the BOLD/FBI sights. 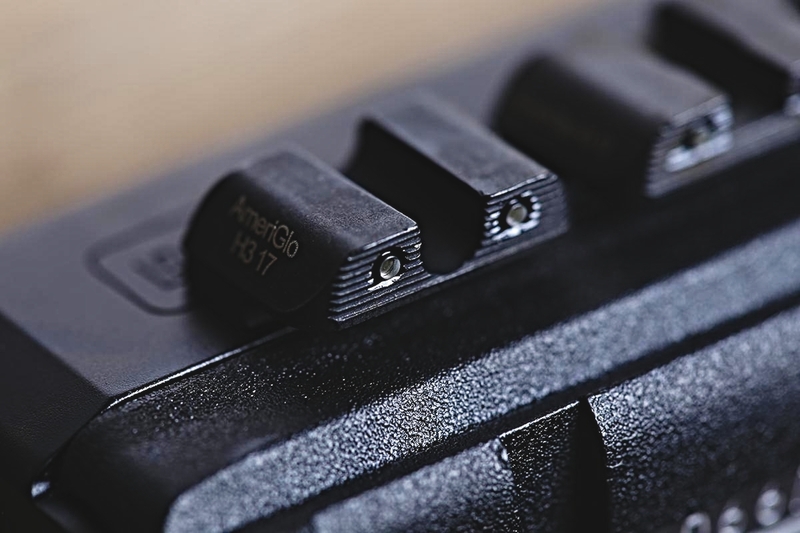 All of which Ameriglo addressed and overcame, with not only a good sight system out of the box, but a sight system which allows the shooter to customize to their particular requirements. I have had a little bit of time on the XR's (I do not and will not buy them) and I am more capable, accurate or otherwise comfortable with the Ameriglo BOLD/FBI sights over them. 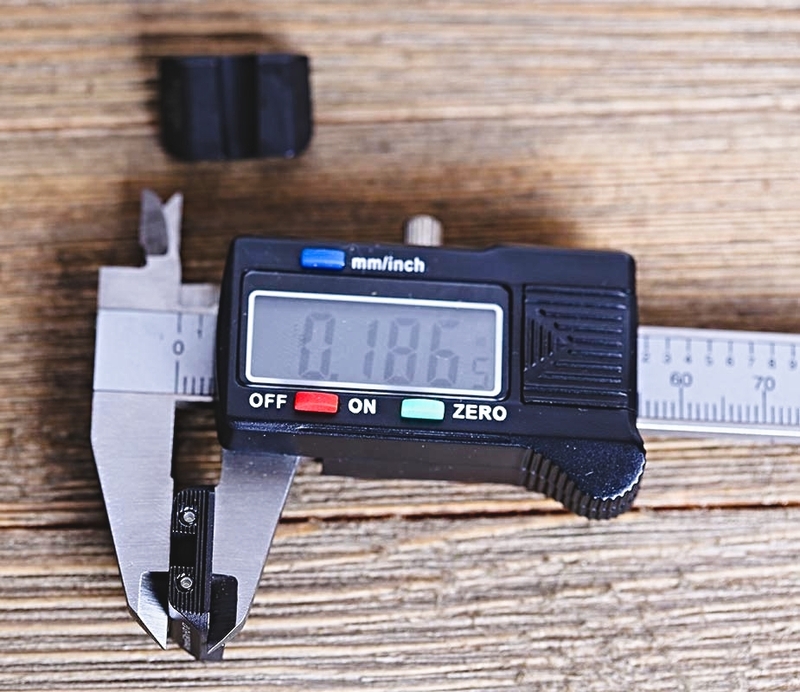 For those who do not need a three-dot night sight configuration and want a thinner front sight, go with the .115 Defoors, they are really accurate and you can squeeze the most out of your Glock pistol with them. 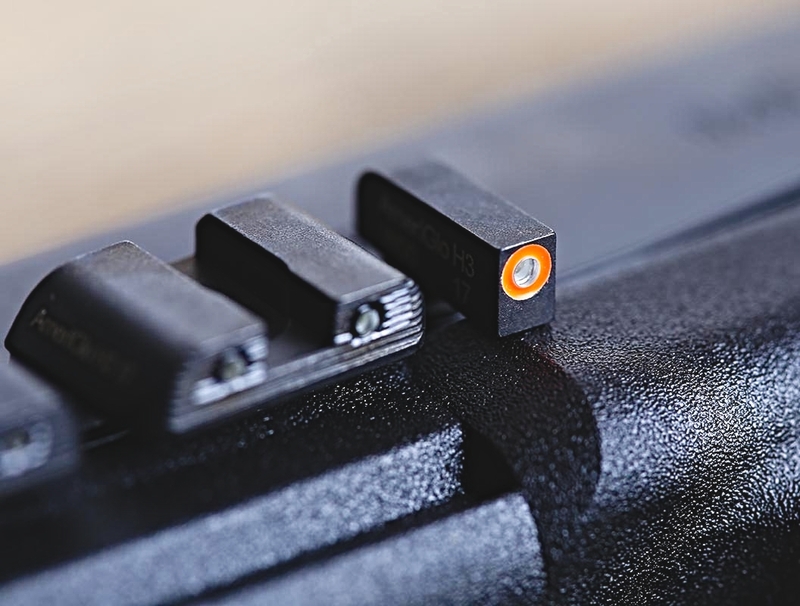 If you absolutely need a three-dot night sight setup and do not want to do any modification to your pistol out of the box at all, then get a Gen5 19 or 17 with the Ameriglo Sights. 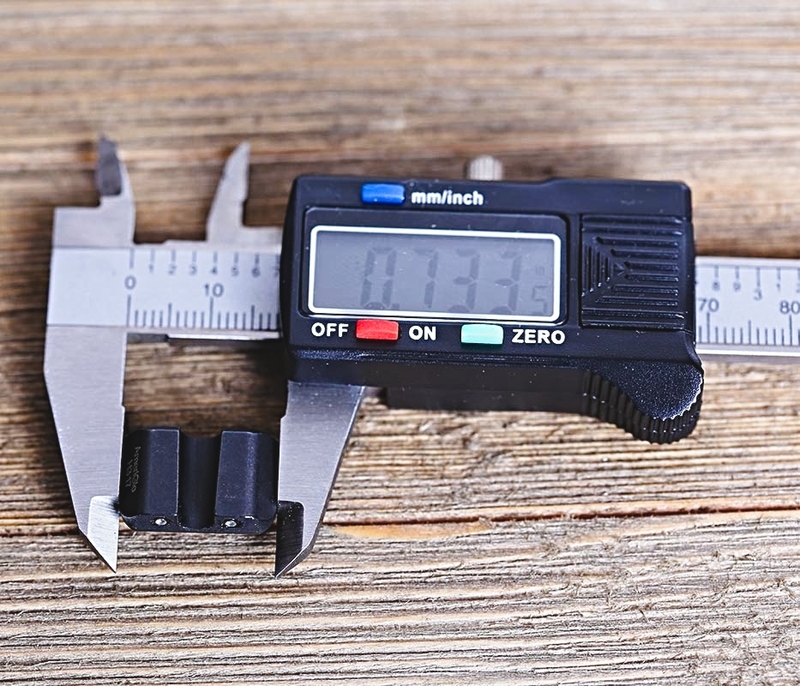 You may need to adjust the rear's a bit to one side or another for your particular pistol, but other than that you have a very good and thoroughly vetted sighting system. I thought a bit of what I would modify with the BOLD or FBI sights and other than the green front there is nothing I would change at this point. They are good all around sights which will serve their purpose very well.